Apple has just released iOS 5 beta 7 to developers as an over-the-air update. iOS 5 includes new features like Notification Center, Twitter integration, Newsstand, and iCloud support. The software update will become publicly available this fall, likely alongside the new iPhone lineup in early October. Apple has released iTunes 10.5 beta 7 and Xcode 4.2 beta 7 as well. Apple has also just released Safari 5.1.1 update 3. Let us know at tips@9to5mac.com anything you find! We’ve found that in the Wi-Fi sync settings there is now support for multiple Macs. Under each Mac you’ll find what categories your iOS devide will sync to. 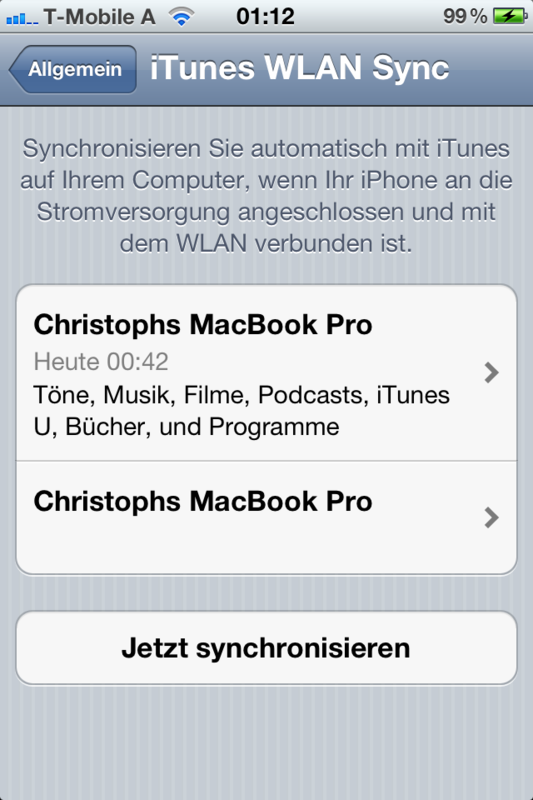 Thanks Christoph! NEW: Starting in iOS 5 beta 7, the requirements for specifying container identifier strings in your application’s entitlements have changed. Each container identifier that does not include a wildcard character must exactly match the bundle identifier of an application published using the same team ID as your application. You are not required to include an entitlement that matches your app’s own bundle identifier; for example, a lite and pro version of your app could both specify the pro app’s bundle identifier to share the same container. The requirements for container identifiers that include wildcard characters have not changed, but you may need to update existing wildcard identifiers after changing any non-wildcard identifiers in your application’s entitlements to match the new rules. You can workaround this by implementing the relinquishPresentedItemToWriter: method and checking to see if the writer actually wrote when your file presenter reacquires.File presenters do receive presentedItemDidChange: messages in this beta. FIXED: Events will be passed to the delegate whenever a turn is made on a match, instead of just when it becomes the local player’s turn. Changing the segment style of an NSSegmentedControl object to “Automatic” might crash in documents using Cocoa Auto Layout. To workaround the issue use an explicit segment style such as Round or Textured, and at runtime, change the segment style to automatic using the setSegmentStyle: method. 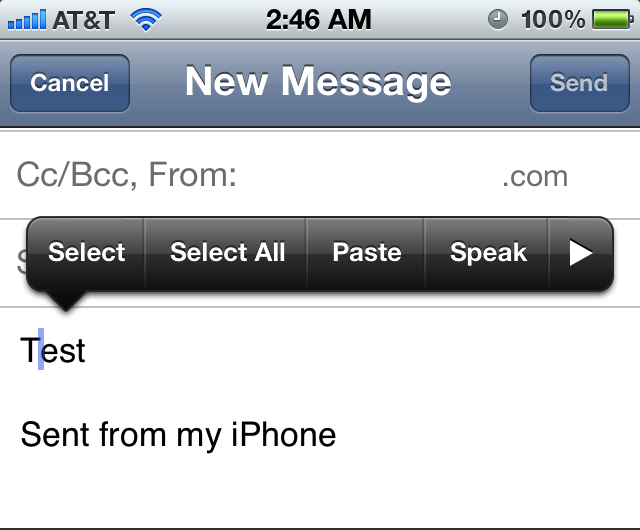 In iOS 5.0 UIPickerView doesn’t send its pickerView:didSelectRow:inComponent: delegate message due to a programatic selection. We have changed the behavior of scrollToRowAtIndexPath:atScrollPosition:animated: such that UITableViewScrollPositionTop and UITableViewScrollPositionBottom now adjust for the top and bottom portions of thecontentInset property. NEW: In releases prior to iOS 5.0, the UIPopoverController class would unconditionally set the autoresizing masks of view controllers which were the content view controller of the popover controller. It would also unconditionally set the autoresizing masks of the views of view controllers pushed on to a UINavigationController object which was the content view controller of the popover controller.In iOS 5.0, the UIPopoverController class will no longer do this for applications linked on iOS 5.0 or later. Developers should ensure that the autoresizing masks of views are set properly to allow for arbitrary resizing within any container, not just popovers. A mask of (UIViewAutoresizingFlexibleWidth | UIViewAutoresizingFlexibleHeight) would not be unreasonable. FIXED: The autosaveWithCompletionHandler: method will now only be called for period-based saves and it is safe to return without saving. Documents must save, though, if the saveToURL:forSaveOperation:completionHandler:method is invoked. NEW: Starting with Xcode 4.2 in iOS 5.0 beta 7, support to run and debug applications in the iOS 4.3 Simulator and on devices with iOS versions older than 4.2 is made optional and installed on demand. This support is no longer shipped as part of the core tools packaging, and made available for download and installation through the “Downloads” pane of the Xcode Preferences panel. A valid iOS developer ADC account is required to obtain this content.To obtain the iOS 4.3 Simulator, select the “More Simulators…” item from the Run Destinations popup in the main toolbar. This will present the Downloads pane of the Preferences with UI to initiate the installation of the simulator. To obtain iOS device support for pre-iOS 4.2 devices, connect a device and activate it for development in the Organizer. Xcode will provide a prompt to initiate the download of the device support components. If the Xcode 4.2 in iOS 5.0 beta 7 is installed over a previous Xcode 4.2 beta or Xcode 4.1, the iOS 4.3 Simulator and device support from the previous install will already be present, and the additional components will display as “Installed” in the Downloads pane of the Xcode Preferences. The installation packages for the downloaded components will be stored in ~Library/Developer/Xcode. When a new version of Xcode (beta or GM) will be installed, subsequent requests to install these components will use the local packages without requiring a new download.